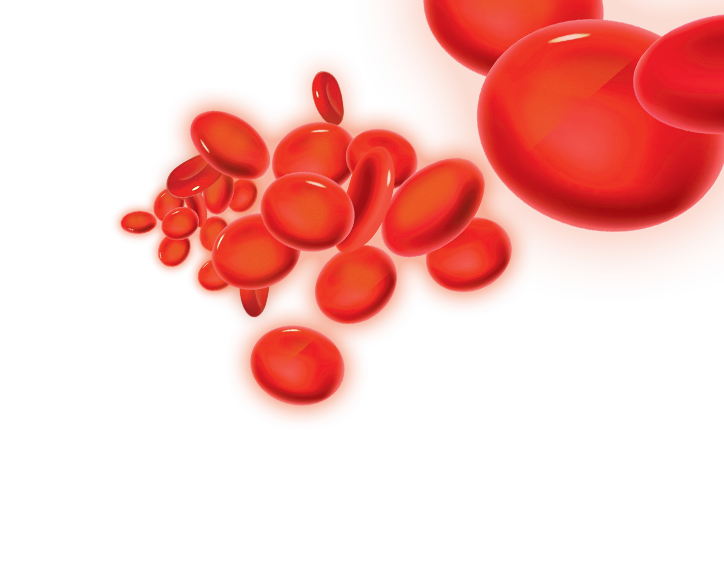 Blood pressure is the pressure exerted by blood on the surrounding vessel walls as it is pumped around the cardiovascular system by the heart. The ability to measure continuous arterial and vascular pressure signals directly at the source through invasive blood pressure recordings provides a greater level of data accuracy and sensitivity to support your cardiovascular research. 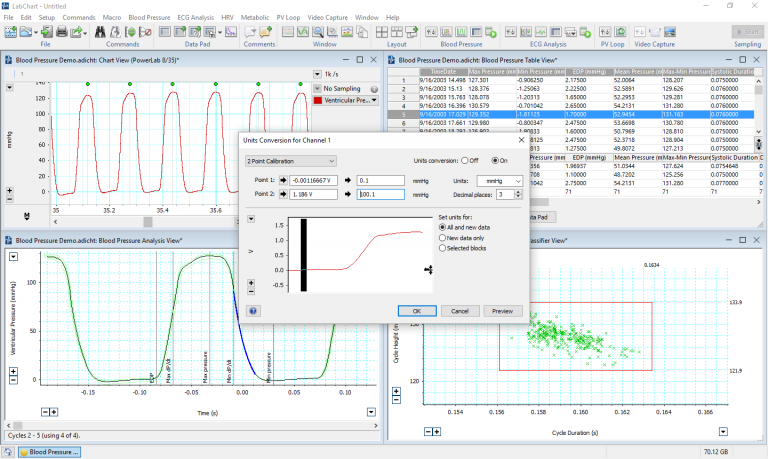 Ideal for beat-to-beat monitoring of basic, acute and chronic cardiovascular measurements, invasive pressure recordings also allow for assessment of time variance and dynamics of change in data over time. 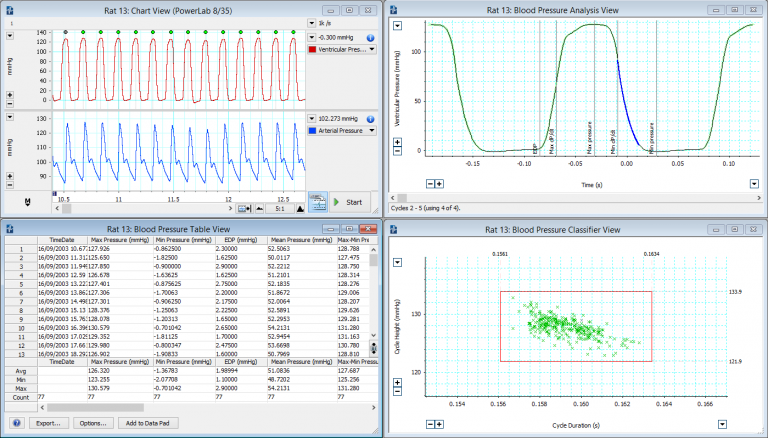 Whether you wish to record and analyze blood pressure in small or large animals, ADInstruments can help you create a solution tailored for your research requirements. We are proud to be exclusive global distributors of Millar Mikro-Tip® pressure catheters and associated hardware for invasive blood pressure recording. 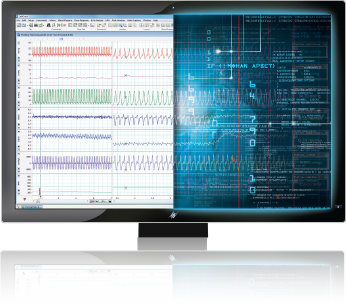 By combining these highly sensitive, minimally invasive catheters with the power and integrity of PowerLab data acquisition and LabChart data analysis software, you can be sure you’ll get results you can trust. 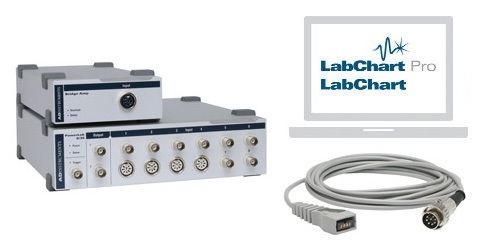 In conjunction with our solutions shown below, any device with an analog output (+/- 10V) can be connected to a PowerLab data acquisition system for synchronization of events in LabChart. So you have even more flexibility and can integrate all your data streams in one place. checkmark Item successfully added to your product inquiry list. Millar Mikro-Tip® Pressure Catheters are ideal for measuring highly accurate cardiovascular pressure recordings at the source. 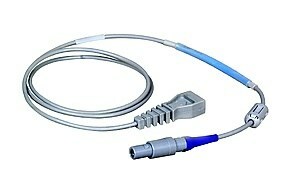 Range of single and multiple pressure sensor options for small animals through to large. Used to measure arterial and venous blood pressure in animals. 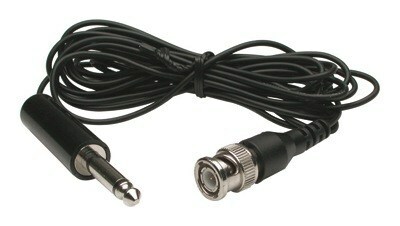 Includes disposable BP transducer and adapter cable to connect to a Bridge Amp. Low cost, lightweight, disposable blood pressure transducer for measurement of arterial and venous blood pressure in large animals. Connects to ADInstruments Bridge Amp. For use with large animals, these low cost and lightweight transducers use an extravascular sensor to measure blood pressure. Suitable to connection to Bridge Amps. For use with large animals, these low cost and lightweight transducers use an extravascular sensor to measure blood pressure. Suitable to connection to Bridge Pods. 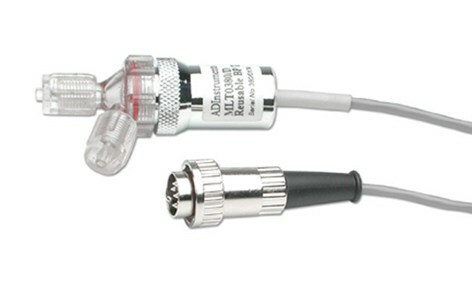 Single or multi-channel (Quad or Octal), non-isolated bridge amplifiers allow the PowerLab to connect with a range of transducers including pressure transducers, force transducers, temperature probes and similar devices. Low-cost signal conditioner designed to allow the PowerLab to work with bridge-type transducers including the reusable blood pressure transducer for large animals. Two-channel amplifier/interface as an alternative for connecting one or two Millar Mikro-Tip Catheters. Compatible with any PowerLab unit and requires a BNC to Audio Plug for connection. A passive interface between catheter and a strain gauge amplifier, connects to any Bridge Amp with supplied monitor cable. Used to connect the Disposable BP Transducer (stopcock) to the BP Amp. 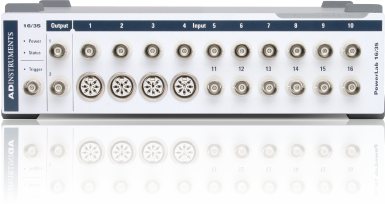 Range of interface cables available for connecting Millar Mikro-Tip Pressure Catheters to an ADInstruments Bridge Amp. Set of five replacement domes for use with the Reusable BP Transducer (DIN). 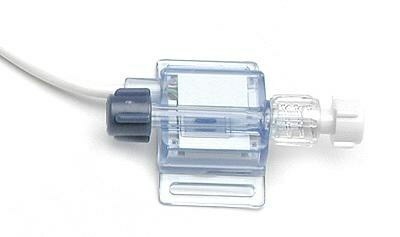 Pack of 10 replacement sterile, clip-on domes for use with the Physiological Pressure Transducer. Engineered for precise, consistent, reliable data acquisition of a wide range of physiological signals. PowerLab gives you the reproducible data you need while meeting the strictest international standards. dP/dt is a signal derived from pressure, typically ventricular blood pressure, that indicates the change in pressure over time. 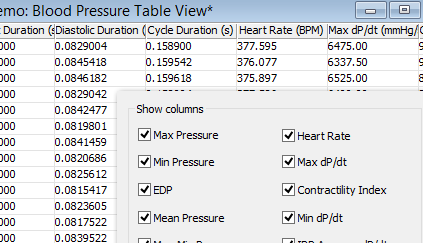 systolic and diastolic pressure (including mean and end), mean pressure, pulse pressure, dicrotic notch pressure, ejection duration, cycle duration, heart rate, max and min dP/dt and Tau. The Blood Pressure module allows automated analysis of the invasive Blood Pressure signal in real time. Units Conversion makes calibration of your pressure signal a simple process. Automatically detects, analyzes, and reports cardiovascular parameters from arterial or ventricular pressure signals in real time or post acquisition. 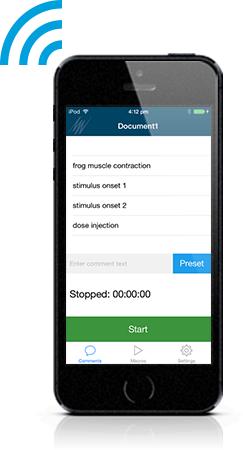 With this app you can stop and start recording and add comments or macros from your iPhone or iPad, so you don't have to be tethered to your computer during recording. in Invasive Blood Pressure on Google Scholar cite ADInstruments. ADI has an excellent group that does much more than deliver research material. There is excellent service to advise what is the most proper equipment before sale; installation, adjustments and training at the time of the beginning of activities and the support for adaptations in the after-sale. This activity was an essential differential for the kind of work I do. Currently, ADI presents itself as a research partner of its customers, rather than a suppliers of products. Thank you for your interest in Invasive Blood Pressure. Please complete and submit the form below and an ADInstruments representative will aim to get in touch within one working day. If you’d like to speak to someone immediately, office contact information is available from the contact page.